No, I will not re-baptize you. In the fourth and fifth centuries a movement in the Christian tradition appeared called donatism. One of the things that defined this group was they way they understood the sacraments. Donatists believed that the validity of the sacrament depends upon the moral character of the minister. If the minister was a person of ill repute then, for the Donatist, it affects the sacrament of, say baptism. Which may be why John would rather he be baptized by Jesus and not the other way around. 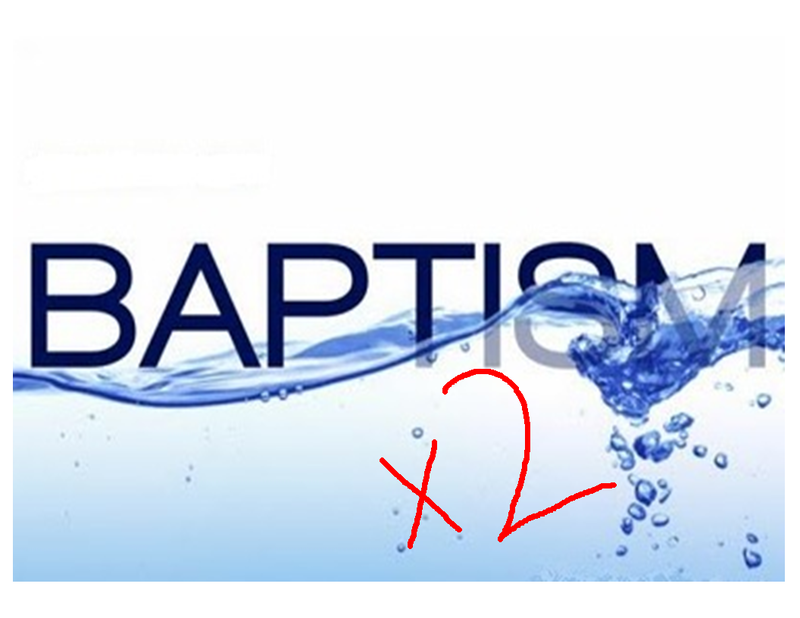 If you had to choose, wouldn't you rather be baptized by Jesus than by John? But Jesus says that in order for righteousness to be fulfilled, John needs to baptize Jesus. Could it be that what Jesus is pointing out to John and the crowd is that baptism is not about the moral character of the person. Baptism is less about the actions of humans and more about the actions of God. Today we have a variation of Donatism when it comes to baptism. Where we may not be focused on the moral character of the minister, there is a focus on the moral character of the one being baptized. In the United Methodist Church, we do not re-baptize anyone. We do not care if you were baptized as a baby. We do not care if you were baptized as an adult. We do not care if you really meant it when you were baptized. We do not care if your parents only got you baptized to keep family peace. One baptism is enough. The UMC does not re-baptize in part because the UMC teaches that baptism is less about the actions or thoughts of the baptized and more about the actions or thoughts of God. Baptism is a sacrament that publicly articulates a Truth about God: God loves each of us and calls us by name. God calls us God's beloved. Notice that Jesus does not repent before his baptism. He is not slain by the Holy Spirit. He does not say a specific prayer. Heck, up to this point in the story of Jesus, Jesus has done very little other than be born. You do not have to do anything to be claimed and loved by God. You are God’s beloved just because. John’s understanding of baptism puts the emphasis on the individuals involved in the baptism. This is why John desires to be baptized by Jesus. Jesus is greater than John, John cannot hold Jesus’ sandals. Jesus is the greater teacher and messiah. But Jesus understands baptism is less about the actions of humans and more about the actions of God. It does not matter who or how you are baptized, because baptism is a way we express something about God’s love for each and every person. This is in part why Christians desire everyone to be baptized. Not as a ticket to heaven but as a way to tell everyone on the entire earth that God loves you. You are important. You are valued, cherished and a beautiful human being. You are God’s beloved.